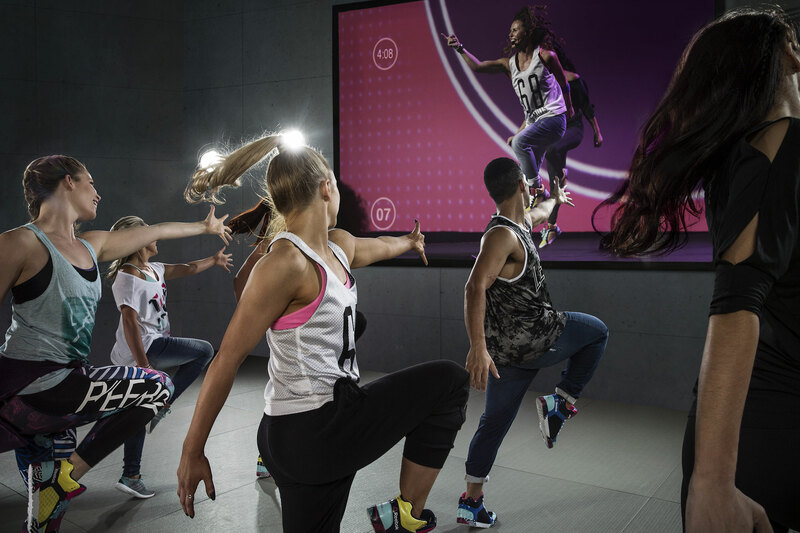 LES MILLS™ Virtual workouts combine our world-leading fitness programs with pumping sound and motivation from some of the hottest instructors on the planet all on a big screen in your club. Anytime. Create an amazing Virtual experience with a darkened room, a big screen (projector or LED) and a pumping sound system. A high quality, secure technology platform is needed to deliver LES MILLS™ Virtual classes. Les Mills works with a number of technology partners around the world and can assist in selecting the right one for you. With leading edge choreography, chart topping music and inspirational instructors, LES MILLS™ Virtual content is world class. Classes are updated quarterly so they’re fresh and there is always a range of new and exciting options. FIND A VIRTUAL CLASSHOW DO I GET VIRTUAL IN MY CLUB?